Celebrating 15 years with the Chamber of Commerce, At Your Service Homecare and Rose of Sharon Medical are Havasu's one-stop shop for adult care giving services and in-home medical supplies. 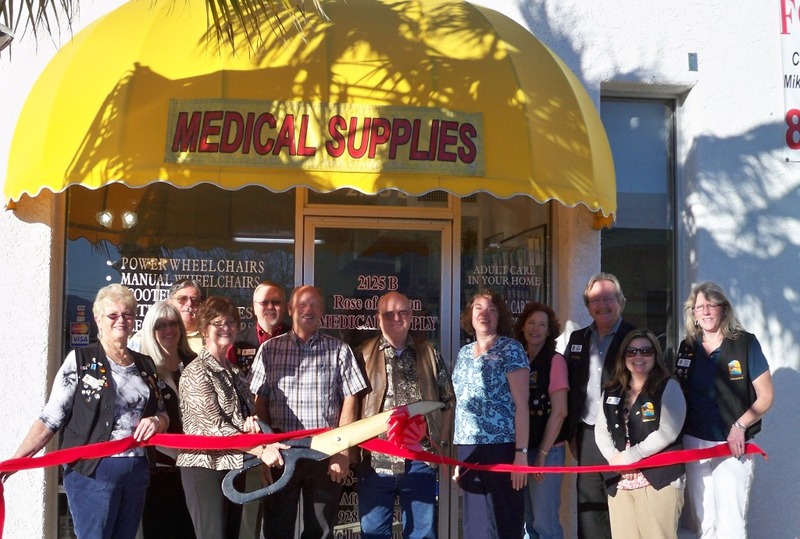 The Chamber of Commerce Ambassadors held a ribbon cutting ceremony for the anniversary. Attending the ceremony from left to right are: Marga Nill, Owner Carolyn Ribaudo, Service Tech Dennis Bonnee, Owner Joe Ribaudo, Office Assistant Jenny Wern, and Kristina Gallo. At Your Service is located at 2125 N. McCulloch Blvd. #B and can be reached at 855-8655.